Exterior || Made from 100% Full Grain Buffalo Leather, this duffel features 4 exterior compartments, including 2 magnet-latch pockets, 1 zipper pocket, and a separate shoe compartment. Built tough with side-carry handles & shoulder strap. Premium Brass Hardware and YKK Zippers. 23.5" x 12" x 12"
Interior || One zip pocket, multiple card & pen holders, ipad/book pocket. Premium durable nylon liner. 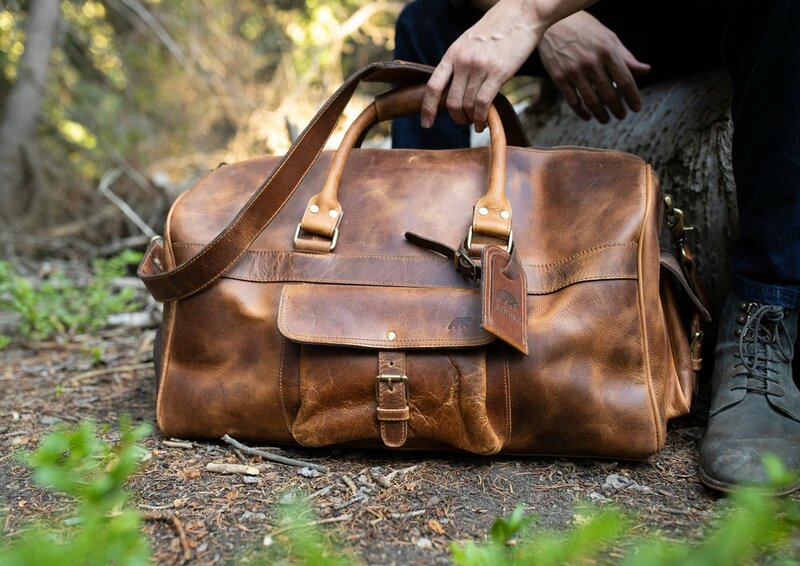 21" x 11" x 11"
Our 60L BL Weekender Duffel is meant for getaways. No more hauling plastic luggage around - our full grain leather stands out in a crowd and blends in with the wild.